Choose one of our services below. Book an appointment at Waverley Plastic Surgery today! Waverley Plastic Surgery (WPS) is located in the suburb of Chadstone, just off the Monash Freeway. The team is led by accredited Plastic and Reconstructive Surgeon, Mr David Ying (see David’s training below). 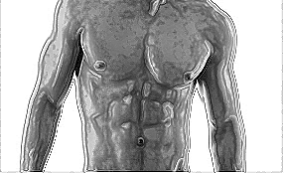 WPS is primarily a health care provider with 80 percent of all surgeries performed by David by way of his Australia wide General Practitioner referral base. David’s cosmetic patients also come from far and wide and are from varied walks of life. Many of them are the family of other healthcare professionals who rely on David’s gentle and professional approach, rather than aggressive sales tactics. David’s aim is to understand the patient’s goal well before they choose to undergo surgery, to ensure the most successful and pleasing result. Waverley Plastic Surgery offers patients non-surgical skin enhancement with fillers and injections. These add-on treatments enhance cosmetic surgery and are in high demand from patients not wanting to undergo surgery. If you’re interested in injectable treatment options we invite you to contact our Chadstone office. See more on non-surgical skin rejuvenation. Why should you make an appointment with a FRACS and ASPS Plastic Surgeon? 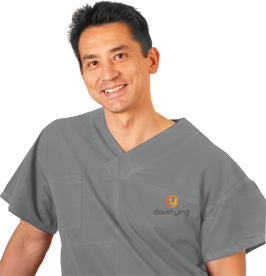 David Ying works in Public and Private Hospitals in East Melbourne and the South Eastern suburbs. He is a fellow of the Royal Australian College of Plastic Surgeons (FRACS) and a member of the Australian Society of Plastic Surgeons (ASPS). Before choosing to undergo any cosmetic surgery procedure, understanding how and why a surgeon becomes a member of FRACS and ASPS is very important. See more on choosing your surgeon. How a Plastic Surgeon differs from a Cosmetic Surgeon? To become a (FRACS )and an (ASPS), requires 10 years of rigorous training on top of a medical degree. David Ying earned his medical degree from the University of Melbourne, graduating with Honours. David’s training took place at The Royal Children’s, Royal Melbourne, Frankston, Geelong, Footscray, Sydney Children’s, Westmead and Dandenong Hospitals, where David is now practicing as consultant, training the up and coming Plastic Surgeons. David’s private patients undergo surgery at Waverley Private Hospital and St Vincent’s Private Hospital East Melbourne. David also leads a team of surgeons in Labasa Fiji on behalf of Interplast once a year.